With the iOS version dropping this week, we look back on Remedy Entertainment's glorified cop drama. If all goes according to plan, Rockstar Games should release a port of Max Payne for iPhone and iPad this Thursday, April 12. It's the first title from Rockstar since the company brought Grand Theft Auto III to the App Store, and there's a great chance that, like that game, Max Payne will be just as good as its PC and console counterparts, minus the usual issue that always seems to crop up whenever a 3D game receives the touch screen treatment. To that end, I have mostly fond memories playing Remedy Entertainment's classic shooter. The story dragged on and the handful of dream sequences were abysmal, but when Max charged into a room guns blazing? Brilliant stuff. This is where bullet time really took off in video games, after we first laid eyes on it in the original Matrix film. That was one thing you couldn't criticize...the explosive ballet that took place during the this shooter's intense firefights, with Max flying through the air as bullets slowly whizzed past his head. There was a great sense of accomplishment that came from bursting through a door, kicking the slow motion into gear and riddling scumbags with lead, then pausing to survey the carnage. I was also a huge fan of the sniper rifle, since the camera tended to follow the bullet on its way into someone's head. Gruesome stuff. 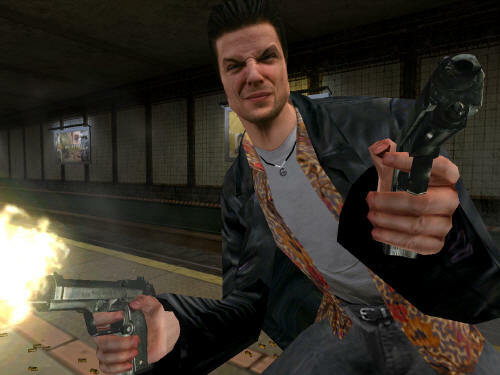 With this in mind, it's been 10 years since I've played Max Payne, and enough time has passed where the game will seem relatively new, outside of various bits and pieces. I doubt those aforementioned nightmare sequences will impress a decade later, and there's a great chance I'll skip through pieces of the story, but once the action heats up, it'll be like old times. I just hope the controls work decently enough. Getting Max to move to the right spots was a bit tough even with an Xbox controller, so it remains to be seen whether the game will adapt well to virtual analog sticks and buttons. There's a chance it'll be a disaster. With Rockstar at the helm, and with GTA III still on the brain, I doubt it.